Ryazan region, 19th century. The kika or kichka was a name of an Old Russian headdress, known since the 14th century, stemming apparently from a totem two-horn headwear. The horned kichka could be found in folk costumes of central and southern Russia of the 19th century, but more common are the "shovel-like” kichkas, like the one that I have in my collection. 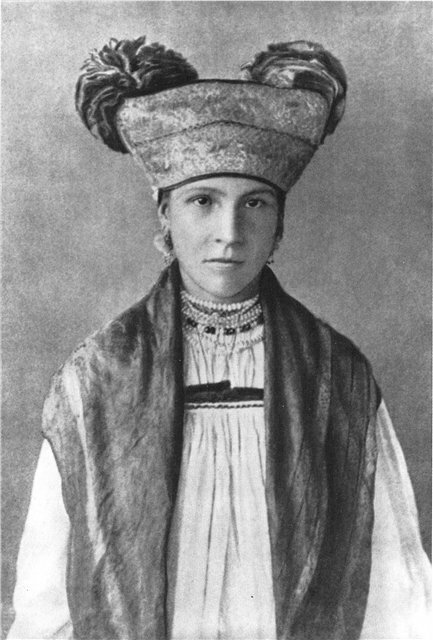 The Russian Orthodox Church had had a long struggle with the horned kichkas, considering them to be pagan symbols, so that the custom arose to cover the horns with a cap (they called the cap “soroka”(magpie) , as a result appeared this peculiar form of the headdress. 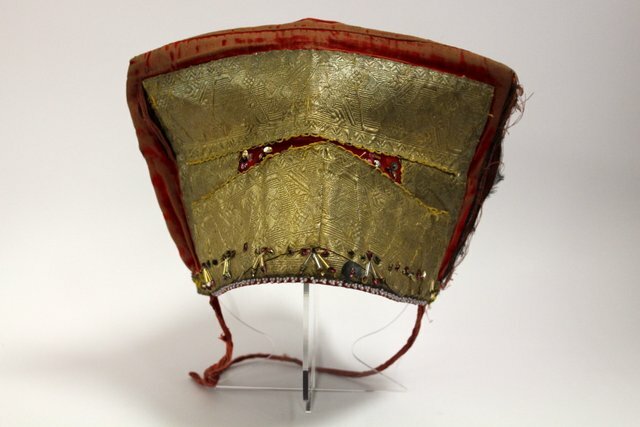 To prevent the headdress from losing its shape between the upper corners of the "shovel” they inserted a wooden strut.